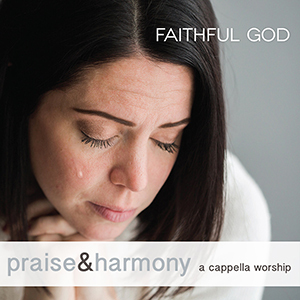 Faithful God is the thirteenth Praise and Harmony album. 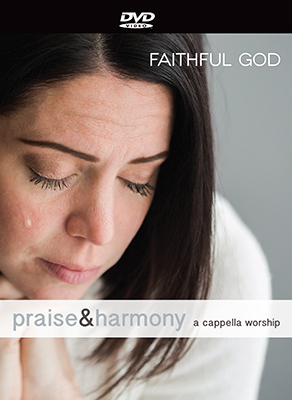 As an added bonus, Faithful God includes a vocalist training CD to help you learn your part (soprano, alto, tenor or bass) on each of these great songs. This set is a wonderful teaching tool for churches and singing groups, as well as an exceptional listening and worship experience. 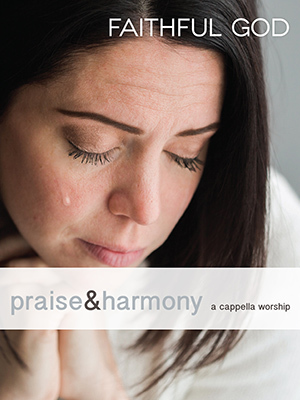 Acappella ministries is excited to share this tool to help equip churches for their worship. This DVD package contains two Praise & Harmony DVDs. One is sung by a group of over 100 singers and the other by a quartet of one soprano, one alto, one tenor and one bass. The DVD places the words and music on a high quality background where singers can hear the music and see the words at the same time. This makes it easier for congregations and individuals to learn new music and put it to use in worship experiences. The DVDs can be used a teaching tool for congregational singing, they can be played before worship as people are arriving, or they can be used for quiet personal worship time. 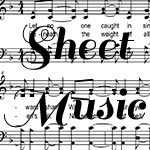 Created to accompany our Faithful God recording and sheet music songbook, these slides allow you to project the words and music for your entire congregation to see. These songs are not scanned from hymnals. They are designed for projection with Microsoft PowerPoint. This is a downloadable product.